Arpeggio Studies in Two Octaves for the Cello helps teach first though seventh positions through major arpeggios in all keys. 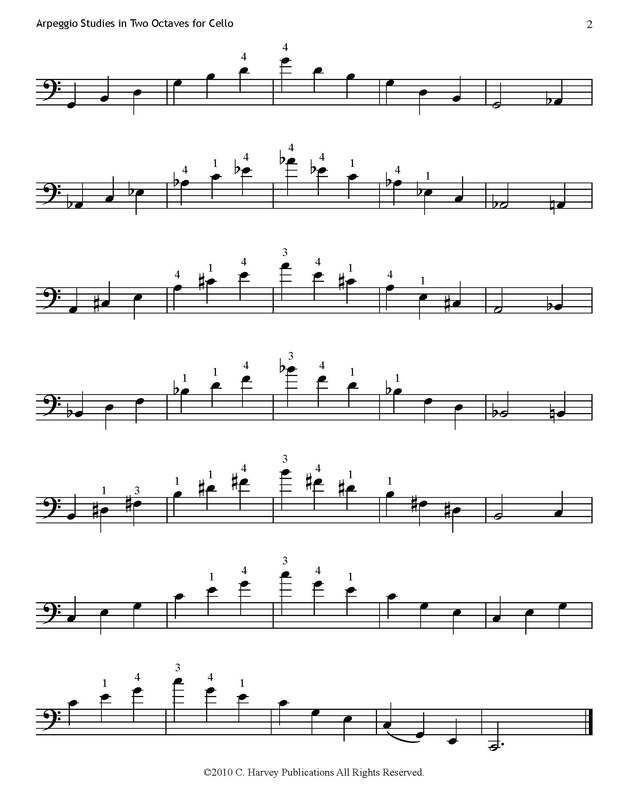 Each two-page study presents the arpeggios in a different rhythm or bow variation to solidify your technique. 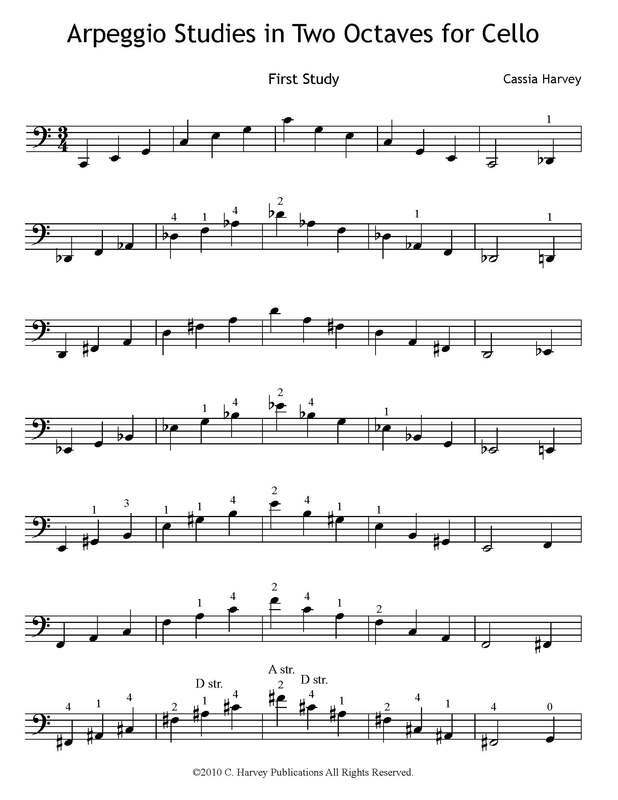 Who this book can help: Intermediate students who have learned some higher (5th-7th) positions and would like to move beyond scales and improve their shifting. How to use this book: Play two pages near the beginning of your practice, after scales and finger exercises.